Your item has been added! Click here to view bag, alter quantities or purchase items. If you keep dogs in your back yard then you're probably acquainted with the nasty yellow burn patches associated with your dogs urine. 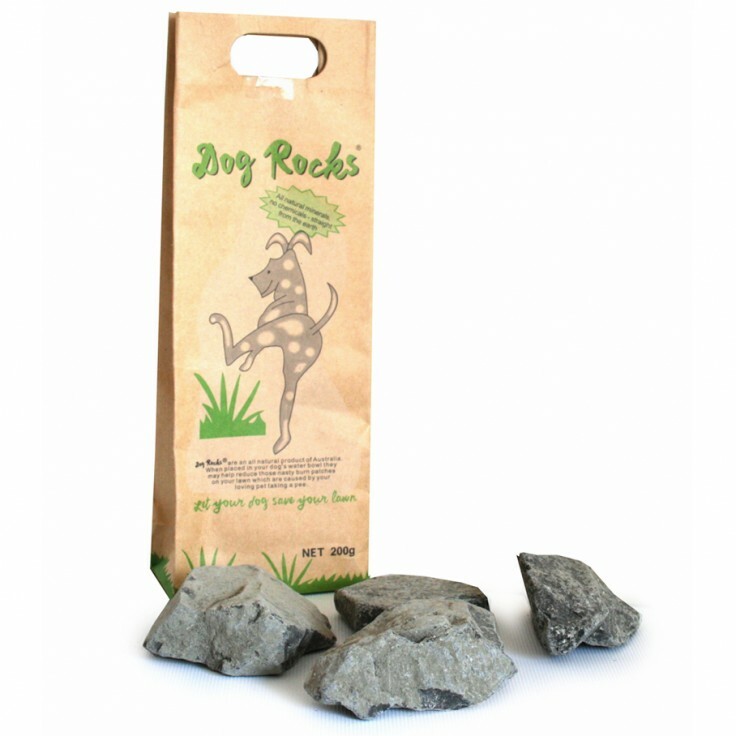 To solve this problem simply add DogRocks® to your dog's water bowl and this naturally mined Australian product will stop the burn patches. DogRocks® have been laboratory tested and are completely safe for all your pets. At the lawnstore we stock a wide range of lawn care products to keep your lawn looking at its best all year round. We don’t just specialise in buffalo lawn products, although all our lawn care products are safe to use on all buffalo lawn varieties. Our lawn care products work on all lawns no matter what variety you own. As well as all the usual lawn care products such as sprinklers, fertilisers and lawn care tools we also stock our own range of lawn care products. Introducing Lawn Lovers, a range of premium lawn care products designed to easily address a range of common lawn problems and give you the best lawn in the street. Lawn Rescue, Lawn Soaker, Grub Guard and many other unique products. Although developed to work exceptionally well on Sir Walter buffalo Lawns you can use these products on any lawn variety to keep your lawn looking at its best. Lawn Solutions Australia Premium Fertiliser 4kg, Lawn Solutions Australia Premium 10kg, Lawn Launcher 900g and Lawn Launcher 3kg.